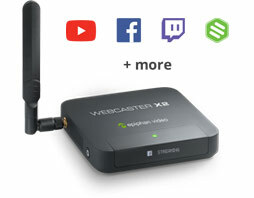 Stream HD cameras, mixers or switchers to YouTube, Facebook Live, and more! Increase brand loyalty and engagement by adding high quality live social media content for your subscribers. The simplest way to capture video. Automatic configuration with no software or drivers to install. The pro’s choice for ultimate configuration to capture video in any situation. Take control over the captured frame size, frame rate and color space. Internal PCIe-based capture cards let you share, capture and record video using your PC, Mac or Linux computer. You can install multiple in a single machine to build an OEM video capture system. Use the optional AV kit to get even more input options. All-in-one live production switchers with built-in video mixing and live streaming. 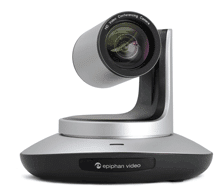 These systems capture, combine, stream and record multiple video sources simultaneously. Great for live events, training or education. Combine PTZ cameras with Pearl for the perfect live production or lecture capture setup! Get a beautiful, wide 72.5° view of your event, captured at 1080p. With 12× optical zoom and 2x digital zoom. Products that meet your unique needs. KVM2USB devices provide the simplest way to manage local servers and headless computers. Use VGADVI Broadcaster to capture, stream and record HDMI, VGA or SDI video sources.